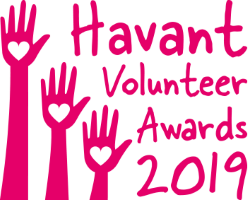 Home › News › Havant Volunteer Awards: Nominations closing soon! Hot off the press: this year we will also be offering a 2 night bed and breakfast stay for the 4 individual winners and their loved ones, with a choice of over 330 hotels across the UK, subject to availability. This is courtesy of Room to Reward. The awards evening will take place at the Plaza Suite, Havant Borough Council on Tuesday 4th June at 5.00pm.